And one of my favorite fall gifts is homemade mulling spice pouches, which are super quick and easy to pull together, but are such a tasty and fun treat to share with loved ones. I've included my quick recipe below, but first let's chat about the itty bitty pocket. 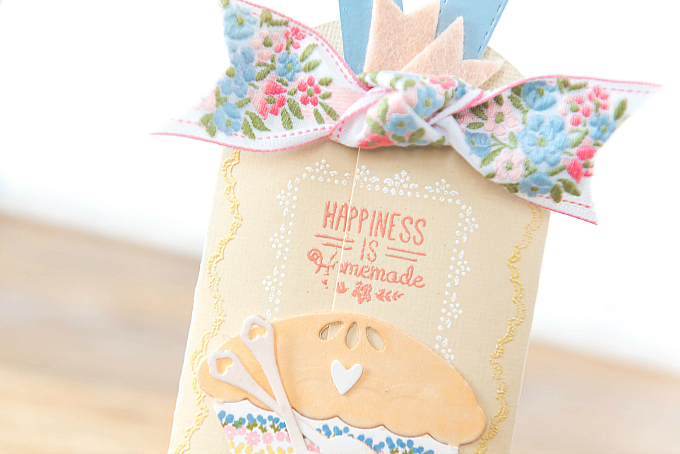 To start the pocket, I used a bit of soft yellow cardstock and PTI's Seed Packet die. Around the edges, I stamped, PTI's Stitch in Time borders in two different embossed colors, white and soft yellow. To the top of the card I added a few bows, one made of paper, one of felt and another colorful embroidered trim. 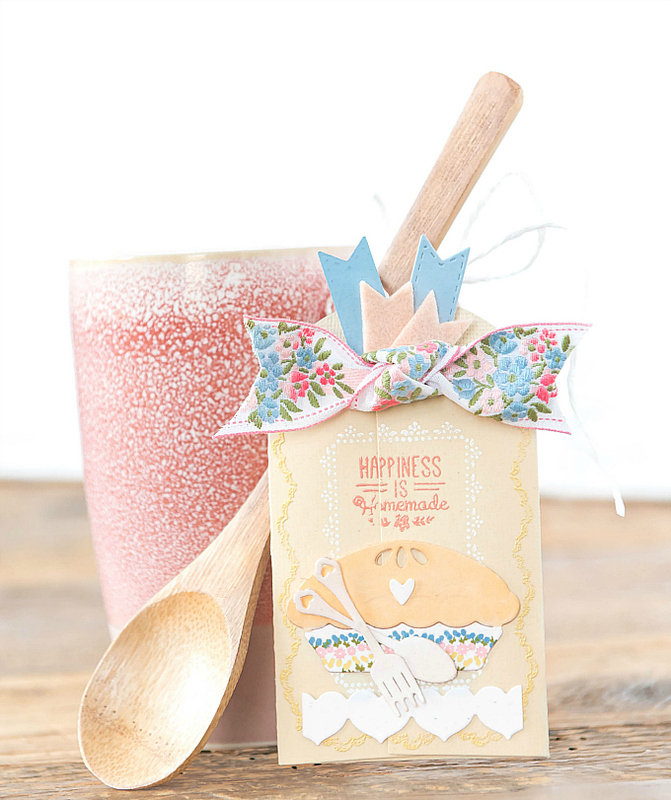 For the sentiment, I used PTI's Petite Places: Home and Garden stamps, stamped and embossed in Rose Quartz. 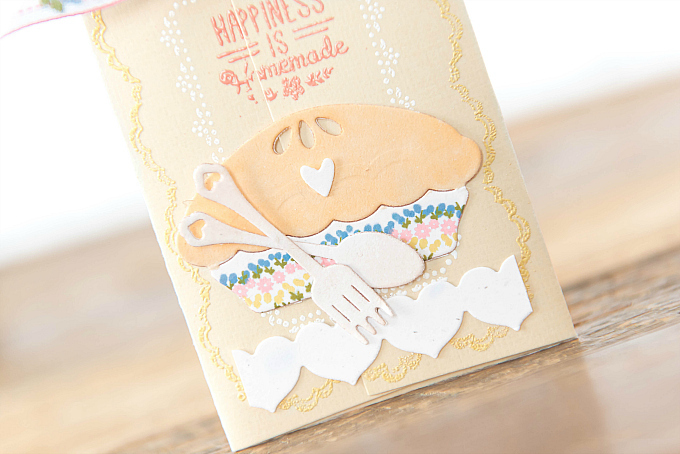 For the adorable pie, I used an older Spellbinders die set, but you could just as easily use this cute Lawn Fawn one! Instead of stamping, I used my copic markers to color the top, and some sweet little floral stamps to add a Pyrex look to the pie dish. 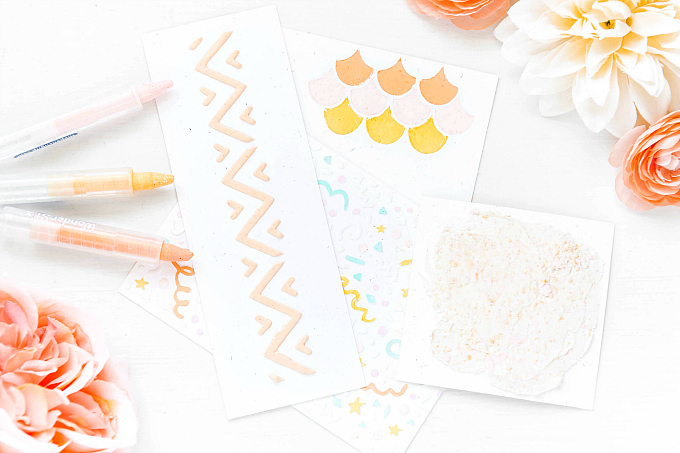 I used PTI's Home and Garden stamps for the itty bitty flowers. The cutlery was included in the die set, but you could use this set instead. At the bottom I added a sweet heart trim from PTI. I take each piece of cheesecloth and tuck all my ingredients in the center, and then tie up all four corners into a little pouch. I typically make 5-6 for each gift and also add a bottle of fresh apple cider, but regular apple juice would do. To mull the cider, it typically takes an hour or so, on low heat - on the stove or in a crock pot, but it can be mulled for much longer if a stronger taste is desired. It can also be watered down by adding more fresh cider or water. I usually package the pouches in a cup (as pictured above) and sometimes add a wooden spoon for stirring and pulling out the pouches. 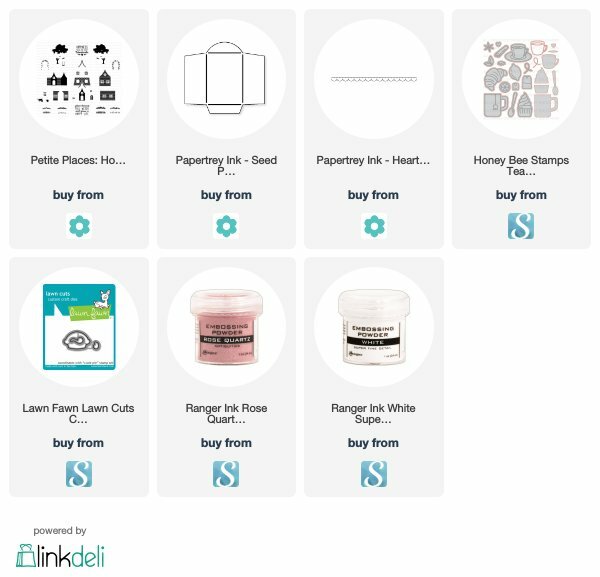 I hope this gives you a fun and easy gifting idea for the upcoming Holiday season! This is awesome Ivana, this is wonderful!! How adorable is that? Very! Now I’m inspired to make up some little “gifties” for my friends. Thanks for being so inspiring! Dianne, I am sure your friends would love them! And the best part is that they're so easy to whip up! Thanks so much for your sweet visits and notes, dear friend! Sending you warm hugs + kisses! What a pretty little pouch! The ribbon is fabulous too. The recipients are going to love these! Such a great gift & perfectly packaged! 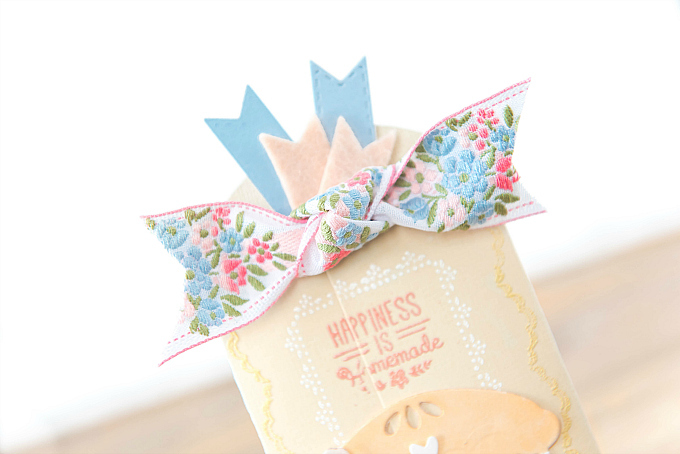 I really love the bows--so creative, Ivana! May have to try your recipe--think we'd love it! Thank you so much, Greta! I hope you like the recipe!